Home of Heinrich Jochim in 1860. He was born on 26 August 1826 in Hannover, Germany and settled in Chicago with his wife, Justine Busse, in 1857. Heinrich died on 15 March 1905 and was buried in Concordia Cemetery in Forest Park. For further details, contact the Chicago Genealogical Society. 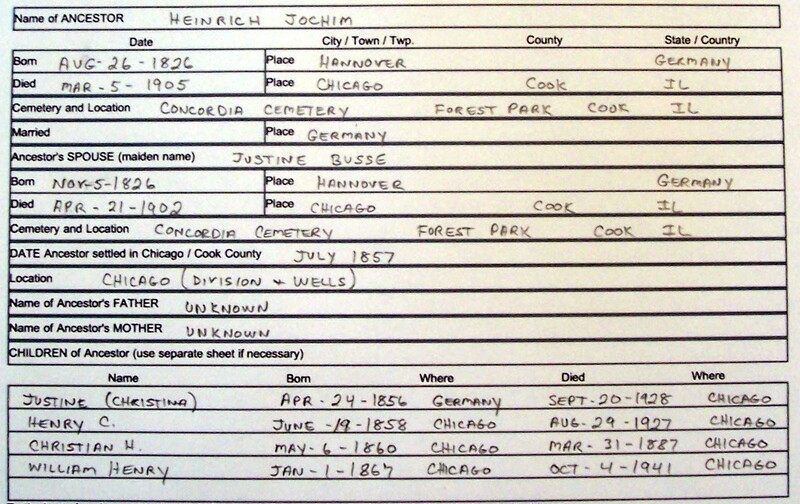 Heinrich Jochim is Pioneer Ancestor number 388.